'Cause you're the very best friend that I've ever had! Come let's begin right away, why not today? When I know we've got the real affair! Was the same door you opened today! Just what kind of pain you've given me! Oh Lord... what did I do to deserve him? ... Or will he stay anyway? Oh Lord... what did I do to deserve her? ... Or is it a cruel fantasy? I love you right now and forever! I know you love me too! Yeah... I don't know anything else 'cept that you love me! You don't know how long it's been since I felt this good inside! She said, "Tears don't lie and I know the truth"
If you'll come and see about me! How am I supposed to know where I begin? He said, "I don't wanna talk on account'a the pressure of my blood"
I said, "Can't we talk on account of love? I'm reaching out to you"
He said, "Don't reach out to me"
"But, I love you. I love you! Dad... don't you love me?" You go your way, you go your way... and I'll go mine. How can we have peace in the Middle East when there's none at home? And there's none in the man? How can we heal the wounds of the world if we cannot heal our own? And where does this peace on earth begin if not in the home? Where is the God in your life? Tell me, where is the love?!!? Where is the God in your life?!!? 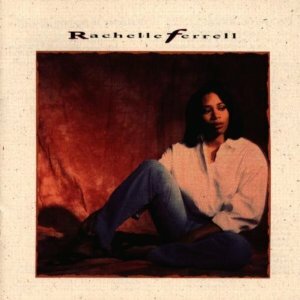 © Copyright Rachelle Ferrell / Aural Elixir Music. All Rights Reserved.